The fact is that printer manufacturers make most of their money not from selling printers, but from selling ink and toner cartridges. Since this is the recurring cost, this is what manufacturers choose to put a higher sticker price on. However, when you shop at CompAndSave.com, you never have to pay the exorbitant prices that original equipment manufacturers charge. You may save anywhere up to 80% on your printing needs. Take a peek at our Comparison Table to see how much you end up saving. We are so confident of offering our customers the best possible prices that we also offer a Low Price Guarantee – if you find a product elsewhere at a lower price we will match that price for you! We offer free shipping on all order values $50 or more. From time to time, we do also come up with other free delivery offers, but orders $50 or more are always eligible for free shipping. So it can make sense to club your orders so that the order value becomes eligible for free delivery. We know how important it is to your business that you receive the ordered products promptly. After all, time is money! So when you order ink, toner and printer accessories from us, all orders are shipped within 24 hours so there is minimal wait time for your business. When your business has a high requirement for some products, it can make sense to opt for specially priced combo items or value packs to help save even more. Take a look at the “view quantity discounts” option on every product page to see how you can save more. Our free returns within 10 days if you are not 100% satisfied with your purchase is another safeguard we have put in place to help you save money. After 10 days, we will replace, refund, or issue store credit on compatible and re-manufactured cartridges up to 365 days from the purchase date. We try and sweeten the deal for all our loyal customers by offering discount vouchers and promotional offers on ink and toner cartridges as well as accessories. You may get the chance to win a gift card, get additional discounts and even get freebies along with your order. To take advantage of these benefits now, please subscribe to our newsletter, like us on Facebook, or follow us on Twitter. 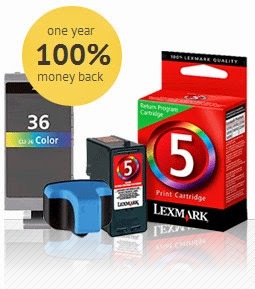 Make CompAndSave.com your source for ink & toner and help your business save up to 80% today.